Islam does not support people who violently censor free speech. Freedom of speech is guaranteed in the Qur’an both through direct instruction as well as recalling how Muhammad was insulted to his face and never retaliated. The Qur’an records that he was called crazy, a victim of deception, a liar, and a fraud. Through this all, the Prophet Muhammad never retaliated or called for these people to be attacked, seized, or executed. This is because the Qur’an says to “overlook their annoying talk” and to “bear patiently what they say.” It instructs us to avoid the company of those who continue their derogatory attacks against Islam. There simply is no room in Islam for responding to mockery or blasphemy with violence. But perhaps most pointedly, the Qur’an tells believers not to be provoked by those who seem to attack Islam, stating very clearly “let not a people’s enmity incite you to act otherwise than with justice.” This is supported by the actions of the Prophet Muhammad himself. When he was once returning from an expedition, an antagonist used insulting words against him. Although a companion suggested that the culprit be killed, the Prophet Muhammad did not permit anyone to do so and, instead, instructed they leave him alone. Still, the idea that depictions of Mohammed are disallowed didn’t come out of nowhere. Islam, Aslan explained, like Judaism, is an iconoclastic religion that does not permit God to be anthropomorphized — that is, portrayed as a human being — and prizes textual scripture instead. 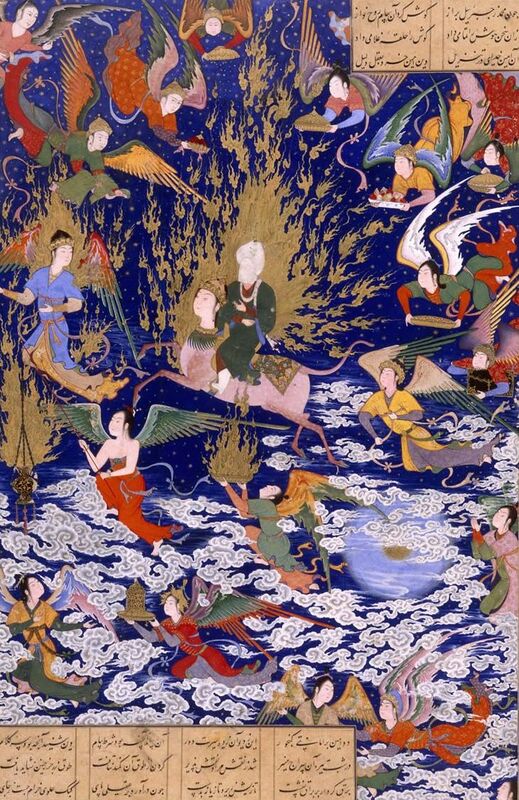 Over time, Islamic scholars extended that tradition to cover Mohammed and the other major prophets as well, and discouraged artists from depicting them in images. That has created a strong cultural norm against images of Mohammed, even in the absence of a religious law against them. In my recent biography of the Prophet, I have taken care to produce about 20 of the pietistic and sacred images produced by Muslim artists over the centuries. These are as far from the Danish cartoon images as one can get: they are works of devotion, illuminated by faith, and imbued with a deep sense of love. There are other options available to Muslims than either accepting the Danish Cartoonist caricatures of the Prophet or responding in pure anger and hatred. One such answer is a return to the rich pietistic Islamic tradition of depicting the Prophet who was sent, according to the Qur’an, as a mercy to all the Universe.